Ruth Mae (Litsinger) Stojkovich, age 84, of Shippensburg, and formerly of Mechanicsburg, passed away on Monday, April 15, 2019. Ruth was born on Friday, December 14, 1934 in Harrisburg to the late James Litsinger and Esther (Danley) Litsinger. Ruth was the widow of George Peter Stojkovich, Sr., whom she married on June 27, 1959, and who died on August 6, 2004. In addition to her parents and husband, Ruth is preceded in death by her brother. Ruth’s survivors include her two children: George Stojkovich and his wife, Stacy, of Shippensburg, Deborah Walunas and her husband, Keith, of Mechanicsburg; her three grandchildren: Natasha Stojkovich of Williamsport, Brian Walunas of Mechanicsburg, and Kody Lehman of Dillsburg; her three great-grandchildren: Addison, Liam, and Maddison; several nieces and nephews; and her beloved canine companion, Raven. Ruth retired from Automatic Oil after many years of service working as a bookkeeper. She was a long-time member of Saint Peter Lutheran Church in Mechanicsburg, where she helped to make Easter eggs and volunteered for many church activities. Ruth loved taking walks, shopping and playing the lottery. She also enjoyed coloring fuzzy posters, reading, and watching television, especially the Game Show Network. Her favorite television shows were Judge Judy, The Golden Girls, Wheel of Fortune, and Jeopardy. Ruth was a loving, caring and honest woman, who would help anyone in need. She didn’t judge anybody and truly cared about everyone; her family will surely miss her gentle spirit. Ruth’s family will be remembering her life privately. Burial in Rolling Green Cemetery in Camp Hill will be at the family’s convenience. In lieu of flowers, contributions in celebration of Ruth’s life can be made to Saint Peter Lutheran Church, 130 Nittany Drive, Mechanicsburg, PA 17055. Ruth’s family has entrusted her care to Buhrig Funeral Home and Crematory in Mechanicsburg, (717) 766-3421. 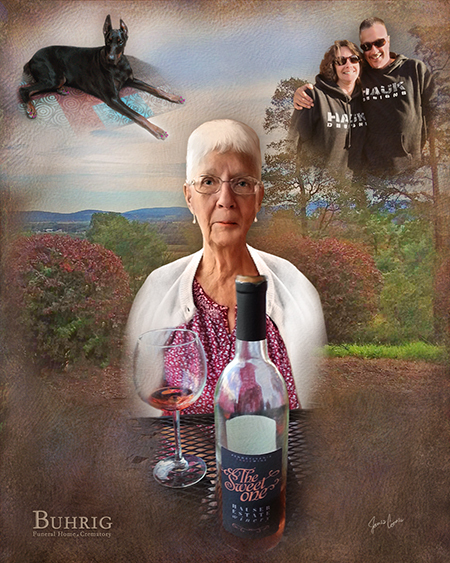 Read Ruth’s full obituary, view her memorial portrait, and sign her official guest book at Buhrig.com.